Update: Epic Games has announced the new Fortnite Creative mode, which will become available on Thursday 6th December. Those that buy the Season 7 Battle Pass will have access to a private island for the first week, before it becomes available to all players on December 13th. Original: Epic Games is set to reveal a Fortnite Creative mode at The Game Awards 2018 this week, but, thanks to YouTuber Lachlan, the news has been leaked before an official announcement. While the game’s popularity has surged thanks to the free-to-play Battle Royale mode, it was Save the World that, while absent on Nintendo Switch, had first released on other platforms. That means that Creative becomes the third mode, and, in many ways, arrives as a more comprehensive take on the Playground mode that was temporarily added to Battle Royale. You will have the chance to start your own server on which you can enter Rifts to reach different destination islands. 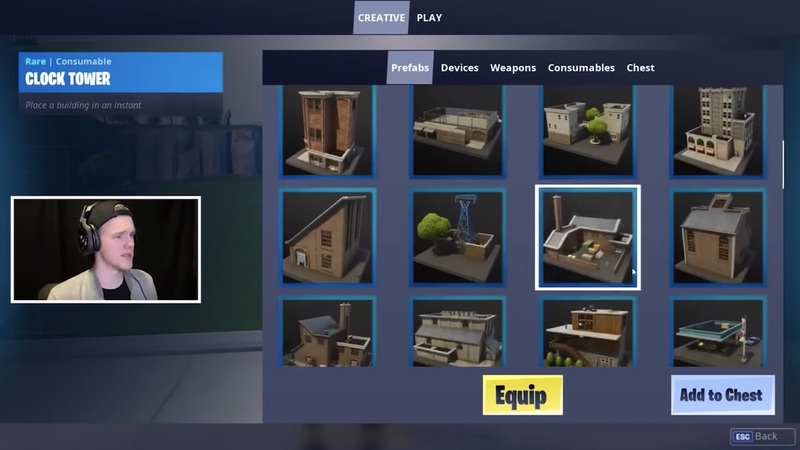 Epic Games had invited Lachlan to experiment with the Creative mode early to record video content about it, and, sure enough, he talks through the new mode, showing how you can place prefabs, devices, weapons, consumables and chests on your island. Lachlan explains that he spent eight hours a day across four days creating maps at the developer’s headquarters, and, as you can expect, talks about everything that he learned in that time. That covers new spawning pads for vehicles, damage traps and speed boost pads. There is a memory limitation that will prevent your creations from becoming far too elaborate, but, it looks like it shouldn’t be something that most will have to worry about. He adds that the Creative mode will be out “tomorrow,” which, we can assume will be Friday – the day after The Game Awards 2018. But, whether or not it will come to Nintendo Switch is unclear. Fortnite is now available for free on the Nintendo eShop for Nintendo Switch worldwide.